The UK is notoriously cold for much of the year, so it's understandable that you may need a little more warmth throughout those cold winter nights, which makes an electric blanket ideal. 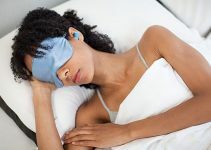 They're not only for use in the bed but can come in portable versions that are perfect for curling up on the sofa. It's not a nice feeling getting into a cold bed, and an electric blanket is a great solution to this problem. However when in the buying process there are quite a few things you need to consider, and we cover them in all in this extensive guide to show you the best electric heated blanket. This Dreamland electric blanket is perfect if you're the type of person who always forgets to turn on the blanket until its too late. This blanket uses unique Dreamland Intelliheat technology so it will reach your desired temperature in just five minutes which is up to five times quicker than standard competitor blankets. This deluxe under a blanket is constructed using a soft fleece material which provides the ultimate comfort when sleeping. The blanket lies flat on top of your regular mattress, and it also has tie tapes which further secure it to the bed. There is a built-in extra foot warmth to keep your feet nice and cosy throughout the night. The temperature control unit detaches from the blanket so it can be machine washed, and also it's safe to tumble dry. The included LED digital control has six different temperature settings and has settings that allow it to be on all night. The inbuilt temperature sensor maintains a consistent temperature for the entire night while the control is illuminated so it can be used in the dark. This under blanket is the Rolls Royce of heated blankets and has every feature you could ever want. Dreamland has left no stone unturned. While it is a little pricier than competitors, it is well justified and will last several years of consistent use, which is why it is rated as the best electric blanket. Underblankets are not for everyone, and if you'd prefer an over the blanket that can be placed on top of your existing duvet and be easily removed throughout the night, then this is the blanket for you. This Harmony electric overblanket is constructed with high quality soft woven fabric which is then finished off with a lovely sating trim which provides the ultimate level of comfort. The overblanket can either be placed inside the duvet or on top of the duvet and also includes a built-in control at the bottom of the blanket so it can be easily accessed and operated. The Dreamland Intelliheat technology enables the blanket to heat to your desired level in just five minutes. Similar to its underblanket version, this is the best on the market, and you will not be disappointed if you decide to purchase this overblanket. This includes even more features than the overblanket version, including the dual control system. This blanket will bring you the cosiest, warmest sleep and you'll wonder how you slept without it through the colder nights. Silentnight is not new to the mattress industry, and you most likely recognise the name as they have been around for many years and are one of the market leaders and have built a strong reputation. They have extended their product range into electric blankets, and this comfort control underblanket attaches directly to your mattress. Constructed using a comfortable fleece material and takes 7 minutes to heat up to your desired temperature. The blanket includes a simple to use control, which also features an overheating protection regulator system. The blanket is also energy efficient like its competitors and uses a similar amount of energy to a 60 watt light bulb. Ergonomic shape to keep you comfortable throughout the night. This Silentnight underblanket is more affordable than the previously mentioned blankets. However, it has far less features included such as a lower temperature range but the included guarantee brings additional peace of mind. Morphy Richards made their name in the small kitchen appliance industry, but this blanket marks their expansion into the homewares space and has proved to be a winner. It features control with four different temperatures to choose from. The blanket fits directly onto the mattress and is elasticated, so it fits perfectly. Heat is distributed evenly throughout the blanket including the extra foot warmth at the bottom. It does require a little longer to heat than its competitors with a recommended heat time of 30 minutes to reach the top temperature. Because it can be used as a mattress cover when not in use, it's easy to turn on and use if you wake up feeling cold throughout the night. Morphy Richards have been around for many years, and this isn't possible if you aren't creating top quality products. This blanket is no different and is extremely affordable and will last a very long time. At first glance, it seems like a regular mattress protector, but it also has a built-in electric heating system. It's constructed using a breathable high quality quilted material making it very soft. The 100% cotton fabric will keep you warm throughout the cold winter months while keeping you cool throughout the warmer months. Its elasticated edges make it fit perfectly to your existing bed as a regular mattress protector would. It features an illuminated LED digital control which allows you to choose from 6 different temperature settings, while also having temperature sensors to maintain the heat level for the whole night. Control detaches from blanket and can be machine washed and it is tumble dry safe. Suitable for all year round use and can be used as a traditional mattress protector when not being used to heat. If time is precious to you, this is a great product for you with just a five-minute heat up time and doesn't require you to fold up and store away after every use. It comes in a range of sizes from small to super king. This luxury heated throw is perfect during those chilly nights at home on the settee. You do not need to worry if you fall asleep as it has nine timer settings and an overheating auto shut off mechanism. Made from a lovely soft material, it heats extremely fast and is cost-effective operating for as little as 2p per night. This heated throw Can also be used as an overblanket. The reviews for this product speaks for itself with a vast majority of buyers being pleased with its effectiveness. Slightly larger than competitor throws which means your body will have no cold spots. If you're someone who regularly feels cold around the house, this provides you with the perfect solution without having to spend large amounts of money on heating bills to continually keep your home warm. What is an Electric Heated Blanket? An electric heated blanket is a similar shape to a conventional blanket. However, it has a built-in electrical heating element that when activated, provides additional warmth. This is one product that has improved in quality massively in recent years compared to several decades ago where they were often considered by many to be a fire hazard. A big factor in this is that the majority of electric blankets now use lower voltages which makes them less likely to overheat which makes them safer. Nowadays they work efficiently and incorporate a more advanced level of technology. It's also easier to find a blanket that matches the style and decor of your home. There are three main types of heated blanket, and the type you decide to purchase will depend on your personal preferences and needs. Heated Overblankets sit on top your original duvet and then works to maintain a consistent temperature that you choose for the whole night. Underblankets are a type of mattress topper that is fitted on top of your original mattress which then warms the inside of your bed. Underblankets are the most popular type of electric blanket due to their versatility, affordability and effectiveness. If you need a blanket for more flexible use such as around the house away from the bed, for example, sitting on the sofa, this is more versatile for these requirements. Can electric blankets be left on overnight? Many electric blankets are designed to be able to be left switched on overnight so that your body will stay warm for your whole sleep. This is something you should check for each model to ensure that it is suitable for extended use. You should always follow the included instructions because some electric blankets heat up rapidly before you enter the bed and switch off straight away. As with any electrical appliance in the UK market, you must ensure that the product is safe. To do this, check that the product has the UK safety standard mark. If you stick to well-known brands, then this shouldn't be an issue, but it's always best to be safe than sorry. If you value your safety, then always buy a new one. It will mean less potential worries and one less headache. Second-hand blankets often have discolouration on the blanket surface, fibre tears, burn marks or other visible damage. The most significant potential hazard with second-hand blankets is the damage that is not visible to the everyday person such as damage to the inner electric components. A simple tip but still needs to be reinforced as this is a huge potential safety hazard that could lead to fires or electric shocks. Once you have finished using the blanket, leave to cool before folding and storing away. The lower the voltage, the lower the risk of overheating and electric shocks. 120 volts is the most recommended voltage for an electric blanket. Avoid consuming liquids when using the electric blanket; this also includes hot water bottles. If the blanket is damp or wet, then do not use. Ensure that if you have just come out of the shower or bath that you are not still damp before using the heated blanket. Electric blankets are generally long lasting due to not being in constant use and because they are well constructed. However, you should consider replacing your electric heated blanket every ten years which is a recommendation made by the Electric Safety Council. Electric blankets are not made or suitable for young babies who are sleeping in a cot. The Electrical Safety Council have stated that also young children should not be operating electric blankets unless an adult has preset the blanket or you're comfortable and approve of the child safely controlling the device. How much should I pay for an heated blanket? Generally, electric blankets are affordable and can range in price from £19.99 up to over £75. The general rule is that the more pricey the blanket, the lower amount of time they take to heat up to your desired temperature. They also have a greater range of temperatures you can select. This is an ideal feature if you require the blanket to switch off after a set period, especially if you don't want the blanket to be switched on all night. A greater range of heat settings means that it can be used on both slightly warmer nights as well as the extremely cold nights. Dual controls are great for couples as it allows you to control the temperature of different sides of the blanket. This will stop any potential disagreements about what temperature the blanket should be. The majority of the latest electric blankets have an in-built temperature sensor which ensures that it stays at a consistent temperature throughout its whole use. A research study has been conducted which has shown that the warmth generated by an electric blanket can be effective for soothing body pains. This can soothe pains such as tenderness in soft body tissue which can cause arthritis. The heat produced by electric blankets also prevents dust mites from living inside your bedding by removing the moisture that they thrive on. Dust mites are a well-known trigger for breathing problems. If you're currently suffering from allergies or a sinus problem, then this is a great solution to try. The electric blanket will pay for itself within just a few months, because of the decrease in your other utility bills. When using your electric blanket, you can now decrease your central heating thermostat, so you no longer have to heat the whole house. Also, lowering your central heating also decreases your CO2 production footprint, so you're saving money, keeping warm and benefiting the environment. Although selecting an electric blanket can be a minefield, you really can't go wrong with any of the blankets included in this guide which is a result of many hours of research. Combine an electric blanket with an electric heater, and you will have an even more effective solution. Being cold throughout the night no longer needs to be tolerated, and you now have a great solution.